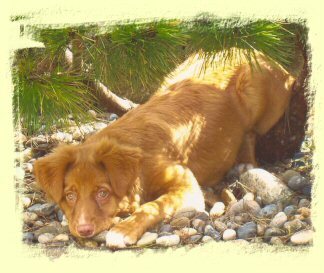 When we got a little toller puppy in January of 2005, I thought training her would be so easy because of her size. 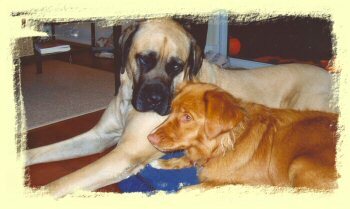 Our last dog had been a 130 lb shepherd cross. Little did I know that this little girl would be able to knock me off my feet when determined. I have some mobility problems and was finding it quite difficult to teach Maizie to heel. On the whole, by the time she was 4 months, she was pretty good, on her terms. She was the boss. I met someone who had trained with Sit Happens and looked them up on the Internet. Jeff came to the house and gave a demonstration with his dog. We signed Maizie up that day. Classes started right away. By the 4th class Maizie was not only heeling but also sitting and no longer jumping on us. Then came the amazing command PLACE. This has to be the best command ever. She will stay in place the entire time we have a meal even with company over. 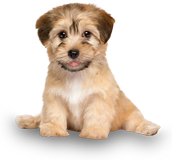 You can really show off your dog with this command. 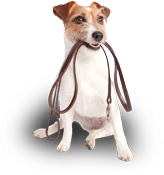 As well as having our classes we have met some wonderful people and their dogs. One of the most rewarding things has been that we do not need a fence around our large yard. This was one of the reasons for trying this system. Maizie stays on her own property even after neighbor dogs come to play with her. One day we were all in the yard and a black bear crossed the road about 200 feet away. I called Maizie to come, sit. That she did and stayed that way until released. Sit Happens was money well spent. Maizie comes with me on my travels everyday. She is a frequent visitor to the local Starbucks where everyone knows her name. I have many people comment on what a well-behaved and happy dog she is. She knows how to socialize with people and other dogs and is extremely happy to show off at any time. 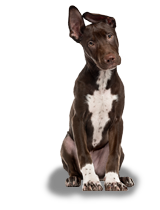 Jeff has a natural non-aggressive way with dogs and is able to train the owners of said dogs quite quickly. I have been really impressed with the whole process and we are actually thinking of getting another toller when Maizie is 2 years old. 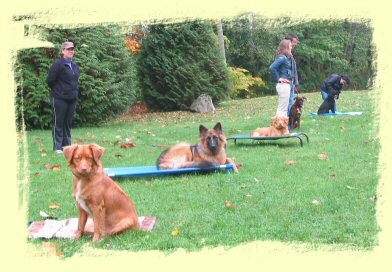 We are going to keep going to our Sit Happens classes just because it is fun.